Ninety-two volumes, 938 chapters, 22 years. One Piece, written and illustrated by Eiichiro Oda, is an emblematic and popular Japanese manga series. The best-selling manga series has been in my life for about all of it. But obviously I didn’t start it at 1 year of age. Though I did pick it up when I was in school and in about two to three years caught up with it (by then, it probably had half of the chapters it has now) and then started looking for manga like One Piece. One Piece tells the story of Monkey D. Luffy, a young man who wants to become to Pirate King and to find the famed treasure, the One Piece. He sets off on a journey where he will find comrades, crew mates, friendships, villains, sadness and strength. As you can see, it’s a pretty long manga series. It has 92 volumes and it’s understandable if you cannot catch up or don’t have the time to do it. But if you have done it and you’re like me, just waiting for the next volume to come out, I thought it will be a good idea to compile a list with other manga that feature some elements that One Piece has and you might enjoy as well. Each category will be different, taking elements that One Piece includes in its story. Get ready for the mafia family tale you need the most. Katekyo Hitman Reborn! 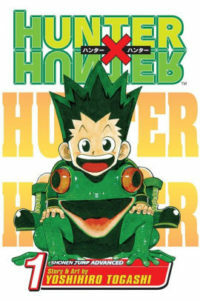 is one of my top favorite manga in the world and I believe everyone should at least try it. Reborn! 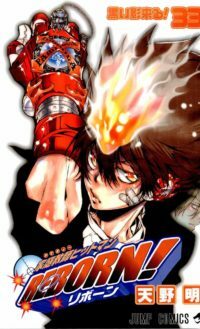 has so many things going on: Tsunayoshi Sawada just got a new tutor who claims to be the world’s greatest hitman and he’s there to train Tsuna into the next Vongola mafia boss. I never expected to love Boku No Hero Academia as much as I do now. But it has one of the greatest stories out there and the characters just make it even better. The story arcs will enchant you and make you want to keep reading, for sure. In this world, 80% of the population is born with special abilities that give them a chance to become superheroes. Sadly, our protagonist Izuku Midoriya was not born with them, but the thing he wants is to become like his idol: the world’s number one hero, All Might. A chance encounter with All Might changes his life forever and his story to become the successor of the best hero on the planet starts here. An epic story about witches and wizards that will captivate your attention for so long you won’t notice when you are done. Fairy Tail is set in the magical world of Earth Land, inside the Kingdom of Fiore. In this kingdom there are magical guilds made up of witches and wizards who take on job requests to earn money and fame. The story presents us to Natsu Dragneel, who is searching for his dragon foster father and instead meets Lucy Heartfilia, who reveals that her dream is to be part of the famous magical guild, Fairy Tail. One Piece‘s main characters are the Straw Hat Pirates. Pirates in this world are criminals, so I thought of doing a category with criminals as main characters. Deadman Wonderland is a pretty interesting manga. Its concept and final product is actually really amazing to see it come to life. Everything starts with Deadman Wonderland, a prison disguised as a theme park, using its prisoners as attractions for tourists. But this is Ganta Igarashi’s story: at first he is falsely convicted of a crime he didn’t commit and thrown into Deadman Wonderland, with its many secrets and unknown horrors. The epic adventure that you will get begins with a flashback and a well-known story. The “Seven Deadly Sins” were a group of evil knights who conspired to overthrow the kingdom. It is said that they were defeated, but some claim that they still live. Ten years later, the Holy Knights, the knights who once saved the kingdom from the Seven Deadly Sins, do their own Coup d’état and capture the king. With this, the third princess, Elizabeth, sets out on a journey to find the infamous group and to get their help to get back her kingdom. Fighter Tatsumi goes to the Capital to earn money for his village. But there he finds things he cannot begin to comprehend. Because of this, he joins Night Raid, a group of assassins dedicated to eradicating the corruption in the Capital. For historical fantasy fans, this one is for you. 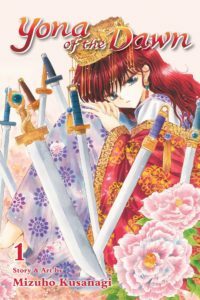 Akatsuki no Yona is filled with political intrigue, magical beings, a fantastic legendary story, a princess and her guardians and a story to never forget. Princess Yona has a pretty fantastic life. She doesn’t have to worry about anything, she has someone she loves and someone who protects her. But things take a dramatic turn when the person she loves the most stages a Coup and murders her father. With this, Yona is forced to flee with Hak, her bodyguard, into the world. She is determined to find the four missing dragons from the legend and to get them to help save back her kingdom. In a world where mysterious towers have emerged from the ground called “dungeons,” Magi starts its story with the right foot. In these dungeons, powerful beings called djinns rule. When a person conquers the dungeons, the djinn offers their strength in the form of a Metal Vessel. Aladdin is a Magi who has been trapped in a room for most of his life. Finally out, he decides to set out on a journey of sorts, and with the help of his djinn Ugo, meet new people, have adventures and change the fate of the world. Hunter x Hunter has a special place in my heart. I’m a huge fan of the anime and actually have watched it a thousand times. I can’t never get tired of its story and development. I’ll tell you why. Gon Freecs is a child who longs to meet his father, and for him to do so, he has to become a Hunter, a person who tracks down treasures, beasts and men. Hunters have so many things going on for them like finding information unknown to people, entering restricted areas and the right to call themselves Hunters. This manga is under amazing villains because you won’t find villains like these in other manga. Each story arc in HxH has a set of villains, or groups of villains, that you find them as fascinating as the heroes themselves. You will love them even more than the actual heroes sometimes and HxH has that going for it too. As with Hunter x Hunter, Fullmetal Alchemist also features villains that you will not forget. But this is the story of brothers Edward and Alphonse Elric, who are in the search of the Philosopher’s Stone. Our villains in this story are also the Seven Deadly Sins, but each of them are unique in their own way and whenever you see them on the page, you can’t hold back—either you laugh, get angry, love them, hate them. Hiromu Arakawa really created some very intriguing characters, not only heroes who save the day, but villains who want to end the world as it is known. Looking for more manga like One Piece? Check out our list of the best manga for newbies and long-time readers alike.